Advertising on NaijaGlamWedding exposes your business to the single biggest community of Nigerian brides. Not just any type but brides getting married very soon, within the next 3 months – Nigerians and brides of other nationals soon getting married to Nigerian men. Let us connect you directly with our database of brides desperately looking for the best local and international vendors they could use at their upcoming Nigerian-style glam weddings. Scroll down to see our advert types and rates. Unlike the other Nigerian wedding websites, we are totally transparent about our advert placement rates. We don’t want to waste your time and ours, asking you to email us for more information and pricing. Below is a list of all our advert types and rates. And, yes, they are are very affordable! We offer a range of advertising options and pricing for any business size and budget, affordable to even micro wedding businesses and small scale businesses. Regardless of how small your marketing budget, you can find an advert package perfect for you. Banner Adverts: Banner ads are sidebar image adverts starting at N6,000 ($40) per month. To see the different rates for banner adverts, click the link above. Vendor Listings: NaijaGlamWedding has a vendors guide which our readers and brides browse to search and find wedding vendors and service providers the can use. Vendor listing starts at N3,000 ($25) per month for premium listing and N15,000 ($110 USD) per year for LITE listing. Start here if you’re not sure which advert plan to start from? A vendor listing is the best option for most businesses looking to get started with placement on NaijaGlamWedding, and is a great option for both Nigerian-based and International vendors. To see the different rates for vendors listing adverts, click the link above. Sponsored Posts/ Articles (aka Advertorials): Starts at N45,000 ($320) for permanent placement. This is our advertisers’ secret sauce – you pay once and your advert will run forever, months after months, unlike banner advert and vendors listing that you’re required to renew payments monthly. This advert type is for you if what you have to advertise is more than a banner space can accommodate – you’ll get plenty of space that includes written text, images and even videos. A sponsored post is a kind of public relations (PR) campaign and best for announcing a promo, an event, contest, launch of new or existing business/ service/ product – just about anything. To see the different rates for banner adverts, click the link above. Where Will Your Adverts Show On NaijaGlamWedding? Each type of advert is placed in very distinct positions on this blog, where they are clearly and quickly seen by our visitors. For details and pictorial of exact positions where we place each advert type, click here. Email Us: If for any reason you’d like to contact us regarding advert placement, click here to email us and our editor (Stella) will respond to your request within 48 hours. While email is our preferred form of communication, you may also call us on on GSM +234 (0) 813 806 8377. Our adverts are among the cheapest in the wedding industry. So scroll up and click on your desired advert option above – either banner advert, sponsored post, vendor listing or another. We sincerely hope that you decide to advertise with us, as we strive to stay on top of our game to keep our advertisers coming back. Let us connect you to thousands of our readers who are mostly brides, about to get married within the next 9 months. 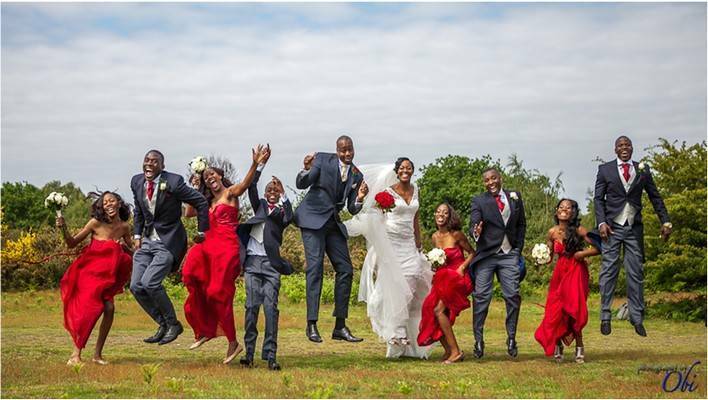 Advertise with us today and watch your wedding business grow beyond your wildest dreams. All information on this site are provided on an “as is” basis, and the user is solely responsible for his or her use of the accessed information or for any results or consequences that may arise from the use. The NaijaGlamWedding does not necessarily endorse the claims or contents of advertising or editorial materials. Vendors are listed as a convenience for readers and not a sign of endorsement. All forms of ads on NaijaGlamWedding – banner ads, sponsored posts and vendor listings – are identified as paid content and not personal endorsements. While we are selective about the vendors featured on its site, inclusion in our vendor directory or a sponsored blog post does not imply that NaijaGlamWedding.com personally endorses, recommends, or favors that vendor. NaijaGlamWedding cannot guarantee the quality of listed vendors’ products or their services. Each user is responsible for conducting a due diligence and inspection of potential vendors to determine if they meet the user’s personal taste, needs and expectation. NaijaGlamWedding shall, under no circumstance, be liable for damages of any nature whatsoever resulting from the use of or reliance upon the list of featured vendors or the goods or services provided by the vendor. NaijaGlamWedding is not a review or public complaints platform. If you’ve had any negative experience with a vendor listed on NaijaGlamWedding , we strongly suggest you directly contact the vendor to resolve the matter. You may also use forums and third party reviewing sites to vent your anger. In the event of business fraud and no-show, contact the Public Complaints Commission and/ or other relevant national compliance authorities. NaijaGlamWedding shall not be involved with any mitigation, negotiations, or settlements. NaijaGlamWedding does not assume any liability, incidental or consequential damages, errors or omissions arising out of the use of listed vendors, their service or products.